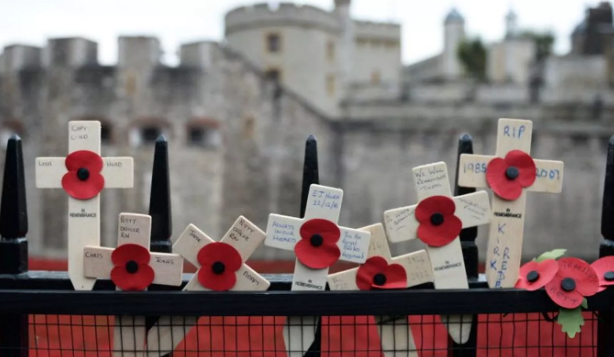 Whereas the US is counting down to Midterm elections on 6 November, the UK is getting ready for ‘Remembrance Day’ or ‘Armistice’ on Sunday 11 November when all those that have fallen in wars or in service for their country are remembered. The remembrance will reach a pinnacle on 11 November at 11 minutes past 11, the time when the ‘armistice’ was signed after the first ‘great war’ of 1914-1918. In order to honour the fallen soldiers of the British empire, celebrities and public officials put on a ‘poppy’ on their jackets in the weeks before which they purchase from the Royal British Legion. The money is then used for veteran’s causes across the nation. Veterans of the British Legion were therefore understandably outraged to find out that a Birmingham taxi driver this week refused to take several boxes of poppies with him on a paid trip. KMR, a local taxi company located in Hawthorn Road in Kingstanding, posted two statements on Facebook after the event which took place on Thursday 1 November and said it would launch a "full investigation." A veteran’s organization had launched a complaint against a "driver's refusal to accompany a passenger who wished to transport poppies." The Birmingham taxi driver has by now been sacked. This Thursday afternoon, the boxes were to be transported from the Perry Common Royal British Legion Club in Kingstanding to Aston Villa's Villa Park on Thursday afternoon. The taxi company "apologised for the outrage" caused and said: "KMR Cars as a company acknowledges and has the most utmost respect for those who fought and put their lives on the line for all of us present today and must be deservedly be remembered on 11 November with the poppy being a symbol of such sacrifice." "If remembrance became compulsory it would lose its meaning and significance." You racist fuknNeanderthals, your entire 'western' culture was built on oppressing and murdering PoCs. I can't wait for Israel to shut down this racist alt-right dungpile. So we can all live under the thumb of oppression. Idiot, now go delete your NPC persona & download yourself some common sense, become a real live free thinking truth seeker. AKA a "PC" as in player correct. OR… Just continue on as the other pc, aka politically correct zombie brained npc mentality. The UK is all but lost, traded in the limey way for the Ahab the Arab way. I'm Jewish you antisemitic fuknNeanderthal. I've forwarded your message to the ADL and the IDF.